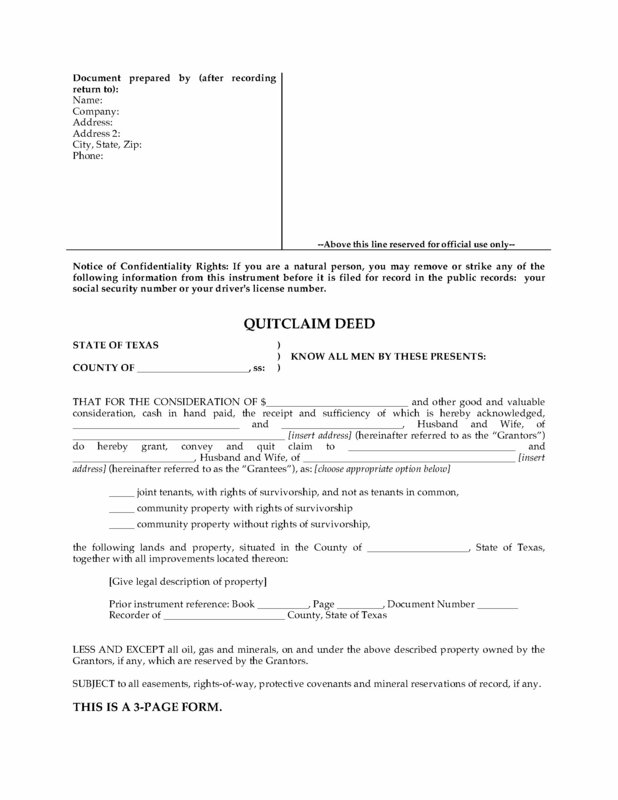 Transfer the interest in a real estate property in Texas from a husband and wife to another husband and wife with this Quitclaim Deed for Joint Ownership. The form includes a Community Property Agreement to be signed by the transferees, if applicable, as well as a Documentary Transfer Tax Declaration. 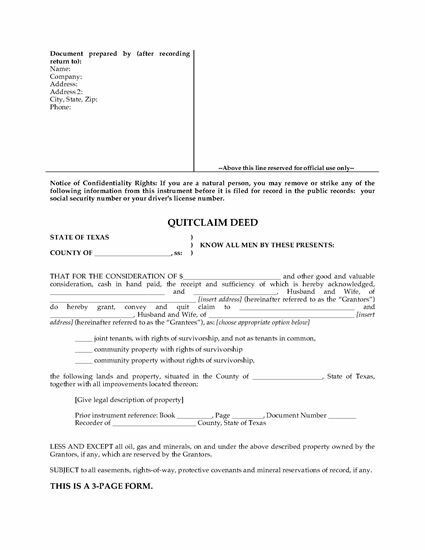 This Texas Quitclaim Deed for Joint Ownership form is provided in MS Word format and is easy to download, fill in and print.